Born August 7 in Nairobi, Kenya. Jim Chuchu is a filmmaker, visual artist and musician based in Nairobi, Kenya. 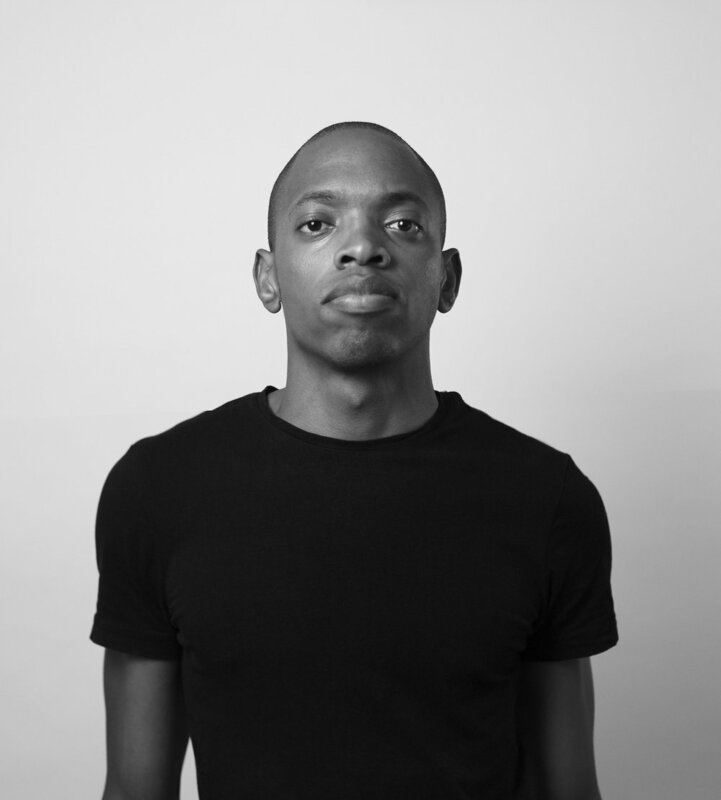 He is co-founder and member of the Nest Collective - a multidisciplinary arts collective based in Nairobi, as well as co-founder of HEVA - an East African fund that invests in creative businesses. "Visions of Africa", Addis Foto Fest 2014, Addis Ababa. "Afropean Mimicry and Mockery", Künstlerhaus Mousonturm, Frankfurt. "Shifting Africa", Mediations Biennale Poznan, Poland. "Precarious Imaging", Raw Center for Art, Knowledge and Society, Dakar. "Future Reflexions: Five Positions of Contemporary African Art", Glasgow. "Semana de Design Gráfico", Luanda (2013). "Koroga II: Another African Story", Nairobi (2011). "Mwangalio Tofauti", Nairobi Gallery (2010). "Amnesia": Nairobi National Museum (2009). "24 Nairobi" - video art installation (3 digital shorts). exhibited at the Nairobi National Museum (2008). "Inspiration im Wechselstrom". Art Investor. Volume 5, 2014. pp 88 - 89.